Listed on Monday 26 November 2012 is the hearing of Kinloch v Her Majesty’s Advocate, on appeal from the High Court of Justiciary (Scotland). In this matter the appellant was charged with various offences under the Proceeds of Crime Act 2002 relating to his alleged acquisition, possession, use, and concealment of criminal property. A significant part of the case against him was based on surveillance evidence gathered by police officers in public places. 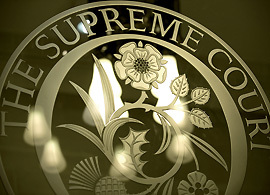 The question for the Supreme Court is whether visual surveillance in a series of public places by police officers, where such surveillance had not been authorised under the Regulation of Investigatory Powers (Scotland) Act 2000, breached the appellant’s right to a private life under ECHR, art 8. Case details are available here. From Tuesday 27 November 2012 is the two-day appeal of Lloyds TSB Foundation for Scotland v Lloyds Banking Group Plc – another Scottish appeal (from the Court of Session). The respondent is a charitable foundation established at the time of the flotation of TSB Group plc. TSB granted a deed of covenant, the respondent’s entitlement of which was to be the greater of a defined minimum amount or a fixed percentage of TSB’s “pre-tax profit”, which was later amended. It is for the Supreme Court to determine the correct construction of the amended deed and whether or not, as a matter of Scots law, the court can equitably adjust the amended deed to exclude negative goodwill from pre-tax profit. For more information the case details are here. On Thursday 29 November is the appeal from the Court of Appeal of In the Matter of X, the issue in which is whether the identity of the accuser, and substance of allegations of serious sexual abuse made by a third party, should be disclosed to parties involved in contact proceedings relating to a child. Here are the case details. On Wednesday 28 November 2012 the Supreme Court will hand down judgment in the following: RM v The Scottish Ministers and Ruddy v Chief Constable of Strathclyde Police & Anor. 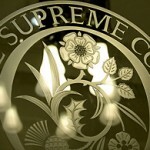 In the Privy Council this week is the one-day appeal of American Jewellery Company & Ors v Commercial Corporation Jamaica Ltd & Ors, listed for Wednesday 28 October 2012. This matter concerns a claim for breach of a sale agreement which contained provisions for the appellant to lease back the premises. Here are the case details. Leave a reply on "In the Supreme Court w/c 26 November 2012"